Sharing information about herbs and their benefits. The Nopal Cactus, scientifically known as Opuntia Ficus-Indica, grows in the southern areas of North America. It has been used as a food and healing plant for thousands of years. The fruit (cactus fruit), stems and leaves are used as a food substance and as an extract in a multitude of medicinal remedies. The cactus is harvested and dried as a natural supplement. It is used medicinally to help clear the digestive tract, treat hangover, inflammation of the blood vessels near the heart, viral infections, and diarrhea, treat enlarged prostate and high cholesterol, prevent the absorption of insulin into the blood stream, and promote heart and liver health. It is also used as a diet pill to curb hunger pangs. Many have used Nopal cactus as a diet pill. The dried Nopal fibers can swell up to 50 times their dried size. This produces a temporary feeling of fullness. This helps those on a diet to eat less without resorting to chemicals that may have unpleasant side effects. Nopal cactus is not only high in dietary fiber, niacin, and vitamin B; it is known to be a powerful antioxidant. It is also high in pectin and mucilage. Those are the two main components helping to reduce the glucose absorption in the intestinal tract. Studies link the consumption of Nopal cactus to lower glucose levels in some diabetes patients. Use this safe link to try nopal cactus powder for yourself – TRY IT NOW! 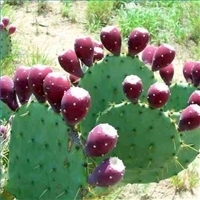 Diabetic patients using certain medications should consult their physician before using Nopal cactus due to the chance of hypoglycemia (low blood sugar), and other adverse effects. Get a 0.5 oz sample of Organic Nopal Powder for only $1.98 Free Shipping. This entry was posted in Cholesterol Lowering Remedies, Easy All Natural Fixes, For Better Health, Heart Health, Herbs, Men's Health, Weight Loss and tagged antioxidant, cholesterol, diabetes, diarrhea, fiber, health, heart health, insulin, liver health, low blood sugar, medicine, nopal cactus, weight loss. Bookmark the permalink. Drink this and cancer comes pouring out of your body!